I have a confession to make – there have been a couple of Monday mornings when I’ve hit the snooze button and skipped The Rise; and I’ve always regretted missing that awesome start to my Monday. For every reason to skip The Rise, there are even more to just show up – the endless high fives, the hugs, the smiles and the killer workout (just to name a few). Here at the The Rise, we have what we like to call “Team Stronger than Excuses.” Some of these folks are injured, yet they still show up week after week. They show up and do what they can (you can modify any exercise!) and provide overall support and encouragement. Some members of Team Stronger than Excuses! Did you need another reason to just show up? 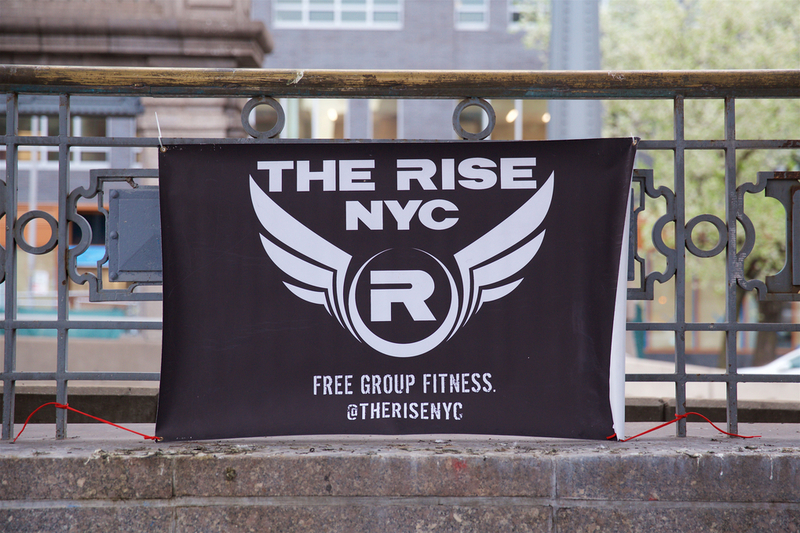 The Rise made Shape Magazine’s list of the The Top 21 Free Fitness Classes in America! Make this your week to be #strongerthanexcuses and join The Rise!